The Women’s Education & Leadership Institute (WELI) program was founded in early 2011 by community leaders who saw a need to advance the education and economic status of women and families in Monterey County. The WELI program consists of summer leadership training, an on-campus student- lead WELI club, a powerful mentorship with community leaders and a $2,000 financial award per student, making this a life changing experience. Since its inception in 2011, the WELI program has graduated 200 scholars and granted approximately $400, 000 in scholarships. 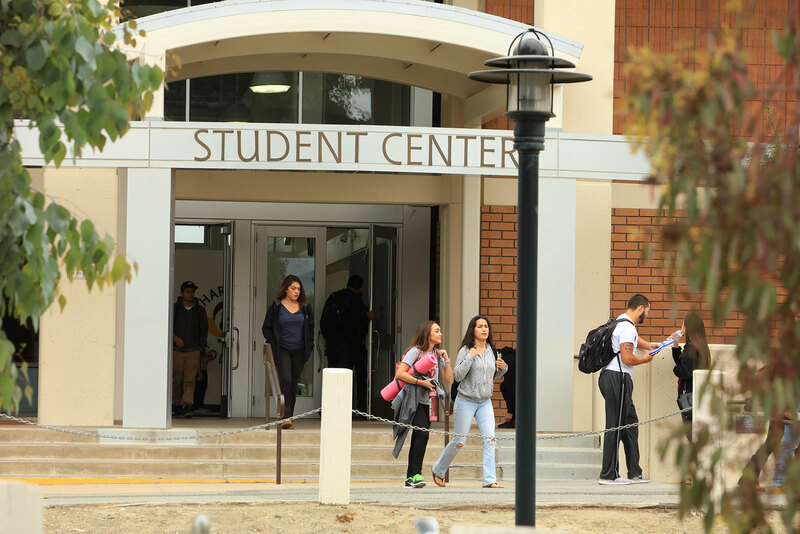 The WELI program has seen a 97% student completion success and educational persistence rate. Demographically, 84% of our current students receive financial aid, 63% are the first in their family to attend college, and 52% are mothers. There is a direct correlation between the successes of a child and the educational level of the mother. Studies show that when a woman succeeds, her family does too and when a family thrives, a community thrives. Programs like WELI have the power to transform communities and generations. WELI was recently featured in a KRML Radio publication, click here to listen! On September 20th, Hartnell College Foundation hosted the fourth annual Women’s Education & Leadership Institute Forum. 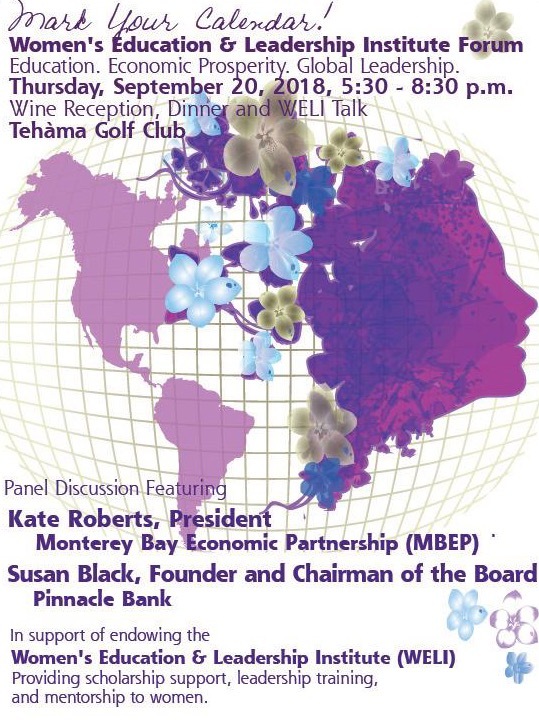 The special night at Tehama Golf Club featured an intimate dinner and conversation, highlighting, Kate Roberts, President of Monterey Bay Economic Partnership, and Susan Black, Founder and recently elected Chairman of the Board of Pinnacle Bank. This special and successful event helped us reach our funding goal and equally important, awareness of the need for a power program like WELI. You can make a donation to the WELI Program by clicking here. You can also support WELI by joining us as a WELI Circle member and receive two tickets to the event and be recognized during the event. Join our sponsors in supporting the future of this important program. You can also help the program by becoming a mentor by clicking WELI Mentor Form. A big thank you to all 2018 WELI Supporters!